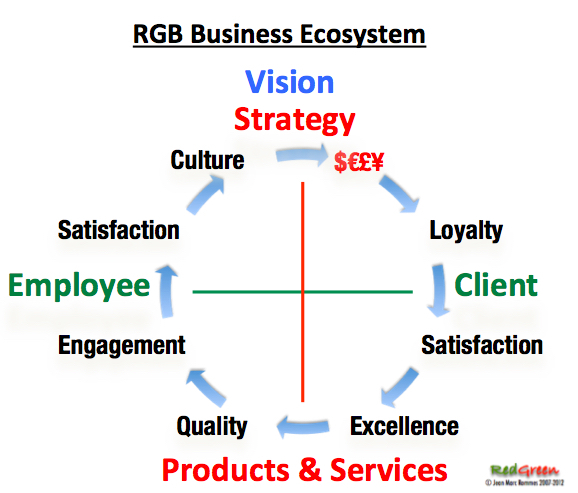 We use the proven RGB© approach to managing change developed by Jean-Marc Rommes. This approach has been shown to be particularly effective in support a number of industry leading global businesses to deliver sustainable programmes that deliver results in the areas of Service Innovation and Transformation. Bespoke programmes can be designed to meet specific needs, or a number of standard workshops have been developed and deployed successfully within the Services environment.